Our mineral clay is a naturally occurring blend of inorganic minerals which can be used to cleanse and revitalize the skin. Originating from under the sea, it is now mined from the mountains in Morocco and washed in clear streams. It's neutral PH value 6.0 which is beneficial to hair and skin care, and helps you maintain a healthy, youthful appearance. 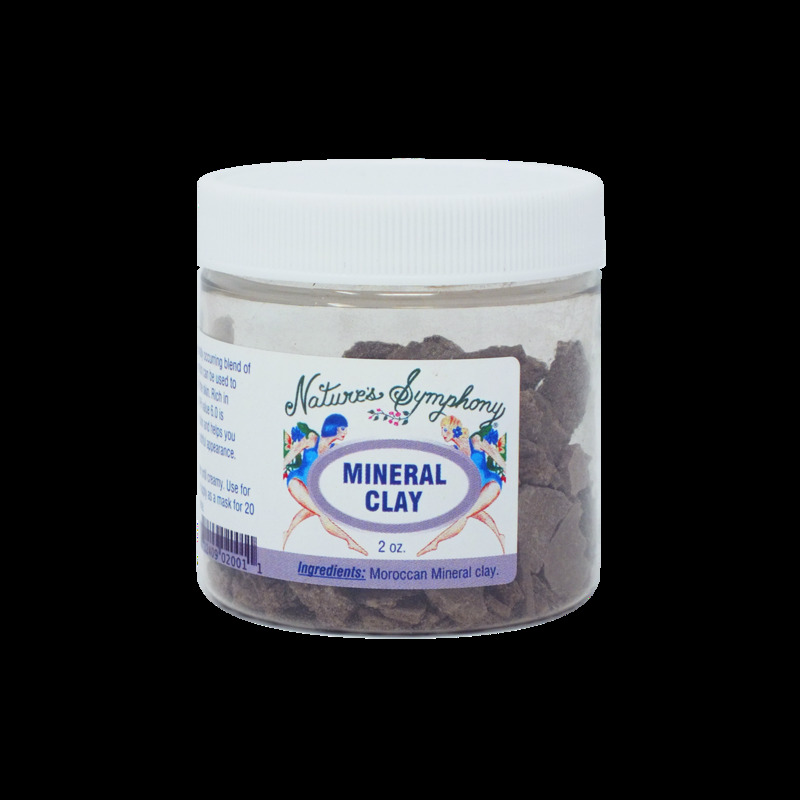 Mineral clay is our most popular and is beneficial for all skin types. It stimulates circulation, deep cleanses, helps to unclog pores, exfoliates dead skin cells, balances pH, and helps draw and dry blemishes. Especially used to help clear acne. Powerful, yet gentle enough to use every day.